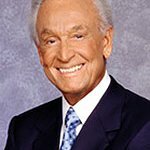 After retiring from the longest-running daytime game show last year, Bob Barker, a nineteen time Emmy Award winner is going stronger than ever. Retiring did not slow him down; in fact he has been even more actively involved in what seems like almost every animal protection charity. Barker – whose famous catchphrase in ‘The Price is Right’ was “Help control the pet population; have your pet spayed or neutered” – recently helped pass a pet bill which reduces the number of unwanted dogs and cats by requiring spaying or neutering. The bill is deemed necessary to ease the growing population of unwanted pets that cost state and local governments $300 million each year. Placing animals’ needs up front, he additionally donated $1 million to Georgetown University Law Center for the study of animal rights law. His donation will be well spent on strengthening and expanding the Law Center’s animal rights law curriculum, providing opportunities for students to work in the field, supporting student-initiated animal rights projects and sponsoring conferences and symposia on subjects related to animal protection. The passionate animal activist recently raised $19,919.08 through an eBay auction of his 35 years old original, corded microphone – an iconic fixture of television and American pop culture. Every last cent went to United Activists for Animal Rights, an organization that is near and dear to Bob’s heart.